There are far too many affiliates spinning their wheels and wondering where the money lies and not enough people putting a simplistic plan into operation that will provide them with passive residual income for months (or even years) to come. You see it every day – posts in Internet marketing forums from people who can’t “get it” or someone who finally made their first sale (after months of trying with no luck). They have no idea how to repeat that single sale, so eventually they’ll quit – like 99% of the other affiliates who can’t figure out what the Super Affiliates already know. There are a million ideas you can tack onto this simple affiliate strategy. But what I’m going to divulge to you in the coming pages is all you need to succeed and generate profits for your online empire. The one lesson you need to remember is to quit trying to reinvent the wheel! Everyone always thinks you have to come up with some mind-blowing concept that no one else has done, but that’s not true. 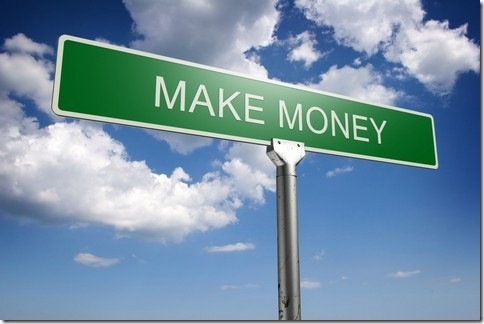 Just learn the right way to work the system and it’ll benefit you financially in both the short and long-term future. This is true-life plug-n-play affiliate profit, where all you’re doing is setting up machines that work for you on autopilot. Don’t get possessive about your content, trying to perfect every little detail and become best friends with your readers. Build it, and move on. Perfectionists have a hard time succeeding with affiliate marketing because they get bogged down in unimportant details that sap their time and don’t contribute much to the conversion and sales they’re able to achieve. And make sure you test various niche markets if you’re new to this. If you don’t have one area of expertise that your sights are set on, then testing different niches can help you see what you’ll enjoy most in the long run and what will help you make more money, too. Important Note: I’m going to tell you about the basic plan and then deliver a step-by-step screen shot implementation for you to see so you can follow along with your own site! You don’t need a ton of expensive memberships or fancy tools with a lengthy learning curve to make money as an affiliate online. All you need are four basic concepts and systems to pull together. Don’t assume there’s an affiliate program for every niche topic out there. You want abundant opportunities to choose from, not a single half-baked product to promote that doesn’t convert well or barely pays you what your time is worth. If you go to ClickBank or PayDotCom or a CPA network and find only 1 or 2 things to promote, then it might be wise to pick a different niche OR choose a different path – one that has you creating your own info product since competition is minimal. Conduct this research prior to buying a domain or investing in content (with either time or money). Every good affiliate needs a hot spot to post their content and links. Everyone will tell you to stick with free web 2.0 sites like Squidoo or Hub Pages, but I’m telling your right now – you want your own domain. Web 2.0 sites are great for backlinks and traffic but when you want to set the rules for yourself and ensure that one day you don’t wake up to find your whole site deleted without warning, then owning a domain is a necessity – not a luxury. Some people will tell you to only buy dot com domains. I have a different opinion. I own dot info domains that do just fine in the SERPs. I’ve read other people’s posts on forums who have had the same experience as me. Your goal as an affiliate who prospers is to get them into your system for repeat sales, not one-time commissions. To hook your audience for the long-haul, you need to learn how to provide a bit of authority and expertise that keeps them tuned in to what you have to say – even if someone else wrote it and you’re simply the middle man. You get positioned as the expert without having to create a product and possibly without having to write a single word of content or conduct any research on the topic other than basic keyword volume and competition. Your communication with online customers comes in the form of an automated system that leaves you with a primarily hands-off business to run. Autoresponders are the method of choice for most marketers because you can queue up over a years’ worth of emails to go out on autopilot and do the dirty work for you. Those 4 elements above are all it’s going to take to build a financially secure affiliate empire. Now how you use these four components is where the difference between success and failure lies.